Langstone Cliff Hotel’s large and comfortable public rooms are the idea spot for taking afternoon tea. With a choice of the Lounge, Verandah Room, Drawing Room and the Poolside Room, all of which are fronted by Victorian a cast iron colonial Verandah with it’s spectacular sea views across the hotel lawns towards the Exe Estuary and English channel. Teas’ may be ordered at anytime from the Lincoln Bar and can be served almost anywhere in the hotel, on the lawns or Verandah. The Lincoln bar currently has a choice of seven draught beers and ciders, wine by the glass, soft drinks, Twinings and Tetley teas and Douwe Eggbert coffees in comfortable surroundings. Devonshire Cream Tea with your choice of Tea or Coffee and Scones, Clotted Cream and Jam starts at just £4.40 per person. A selection of sandwiches – choose from beef, chicken, ham, cheese, cheese and pickle, cheese and tomato, tuna mayonnaise and egg mayonnaise. Prawns are available from £1 extra per person and smoked salmon from £1.70 per person. Please book in advance, ideally 24 hours. For Devonshire cream tea for smaller parties there is normally no need to pre-order though it would be helpful if you know your plans. The hotel also has an extensive range of wines available to add to your tea for that extra special touch. Why not add a touch of sparkle? Sip Pink Sparkling wine whilst relaxing on our beautifully sunlit Verandah overlooking the sea with Sandwiches and Cakes – doesn’t that sound good to you? The Langstone Cliff Hotel, Devon has a reasonably priced and fairly expansive wine list offering a variety of wines from most of the principal wine producing areas of the world. The selection includes red, white and rose wines as well as Champagnes, and wines. A range of Sandwiches, Baguettes, Provencettes and Jacket Potatoes. A variety of Teas, Coffees and Cakes as well as Devonshire Cream Teas with the Jam on top in traditional Devon fashion!! The hotel offers a selection of cold snacks & sandwiches 24 hours a day. There is a downloadable version of our Snack and Light Lunch Menu available here. 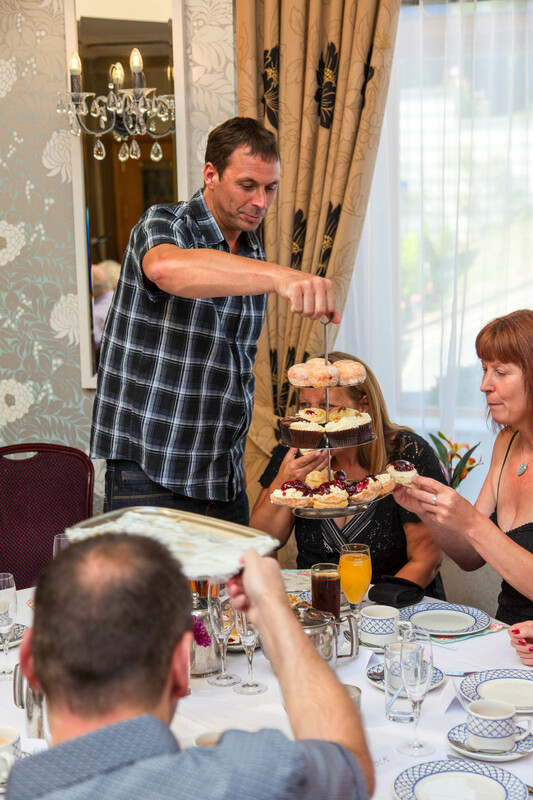 There is no need to book a table should you wish to join us for a light snack or meal.